The recent and drastic fall in oil prices in the global market has hit hard on oil revenue dependent nations, Nigeria inclusive. Thus, this has led the Government to create budgetary policies seeking to resort to other sources of revenue, taxation being at the forefront. However, if the Nigerian government is determined to increase its tax revenue base, then certainty of laws governing corporate taxation of both Nigerian and foreign companies carrying on business in Nigeria has to be at the premium. While a Nigerian company is taxable on its worldwide income, a non-resident entity is liable to tax in Nigeria on its profit attributable to the business or trade carried on in Nigeria. The issue of taxation of foreign unincorporated companies in Nigeria has often stirred up legal controversy. This may be attributed to the conflicting provisions in the Companies and Allied Matters Act and the Companies Income Tax Act. While the CAMA provides that foreign companies seeking to carry on business in Nigeria must first incorporate with the Corporate Affairs Commission (except companies exempted under the CAMA) before they can be allowed to carry on business in Nigeria, the CITA offers a sharp contrast to this rule, stating that a foreign company need not be incorporated before it can be deemed to have carried on business in Nigeria, insofar as it falls under the provisions of section 13 of the CITA. Thus, supporters of the derogation of the rule in section 54 of the CAMA by the CITA may reiterate the dictum of Lord Morrison in Ministry of Finance v Smith (1927) AC 193 at 193, where the court stated that if a company carries on trade illegally and makes a profit, such profit is subject to tax. Section 9(1) of the Nigerian Companies Income Tax Act (CITA) provides that tax is payable at the specified rate upon the profits of any company accruing in, derived from, brought into, or received in Nigeria in respect of certain transactions (emphasis mine). The specified rate for corporate taxation in Nigeria, excluding companies involved in upstream petroleum operations is 30% CIT and 2% Education tax. 1. If that company has a fixed base (as limited in section 13(3)) of business in Nigeria to the extent that the profits are attributable to the fixed base. 3. If the trade or business involves a single contract for surveys, deliveries, installation or construction, the profit from the contract (turnkey contract). 4. Where the trade or business are not made at an arm’s length. The Supreme Court while interpreting the meaning of “fixed base” in Shell International Petroleum BV v FBIR stated that the phrase should not be confused with “residence”, but that in the context of the CITA, it connotes a place where a company has carried on business for a long time notwithstanding that it is not the owner of the place. It is noteworthy to note that sequel to a ruling obtained in SAIPEM v FIRS, where the court held that the profits of a foreign company once derived from Nigeria are subject to tax regardless of whether any of the conditions in section 13 has been met, the FIRS has utilized the provisions of section 30 of the CITA which empowers the Federal Inland Revenue Service (FIRS) to assess companies to income tax based on a reasonable percentage of turnover. This is referred to as the deemed profit basis, best of judgment assessment or presumptive taxation. In practice, the FIRS while assessing non-resident companies to tax, prescribes a deemed profit of 20% of turnover derived from Nigeria (assuming all tax deductible expenses and capital allowance of 80%), which is then taxed at the corporate income tax rate of 30%. This results in an effective tax of 6% of turnover. This assessment basis has been widely adopted by non-resident companies, mostly due to its simplicity and the fact that disputes regarding tax deductibility of costs would be avoided. 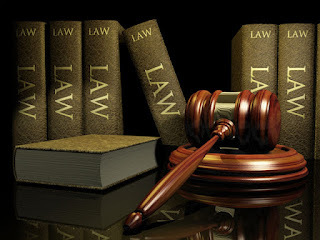 A clear reading of the decision of the court in SAIPEM v FIRS would deduce that a non-resident company who although does not fall under the fixed base rule or other provisions of section 13 of the CITA would still be liable to Nigerian Corporate Tax if the FIRS can prove that the company derived income from Nigeria. However, in a judgment delivered by Justice M.B IDRIS of the Federal High Court sitting in Ikoyi on September 18th 2015 in the case between JGC v FIRS, being an appeal from the Tax Appeal Tribunal, the court overruled its earlier ruling in SAPIEM’s case. In the aforementioned case, the FIRS had raised notices of assessment on JGC who had entered into a contract with Mobil Nigeria Unlimited but had not performed any part of the contract in Nigeria. The court held that JGC was not liable to pay Nigerian corporate tax unless it falls under the provisions of section 13 of the CITA. The varying judgments of the Federal High Court in SAIPEM v FIRS and JGC v FIRS coupled by the recent directive issued by the Transfer Pricing Division of the FIRS where it directed non-resident companies to comply with the provisions of the CITA and file its full tax returns, all are unneeded uncertainties which will only harm the trust placed on the revenue authorities in this time when the country is in dire need of tax payers money.